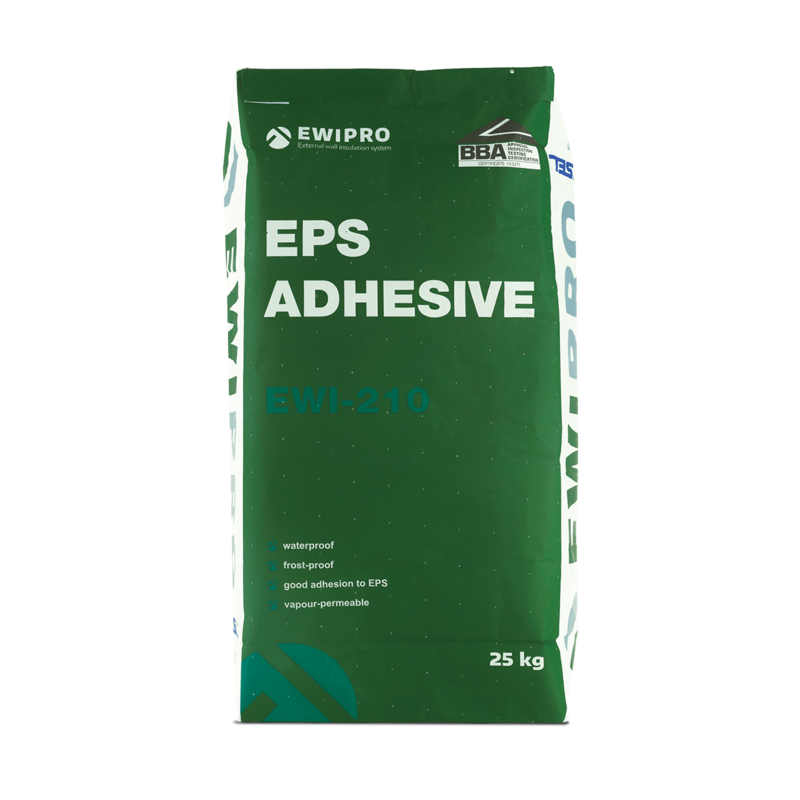 The EPS Adhesive is our classic adhesive, best for mounting EPS boards onto common substrates as part of external wall insulation systems. It is a quick drying, reliable and capable adhesive which ensures strength and flexibility of EWI systems. The adhesive is waterproof, frost proof and vapour permeable, ensuring that your EWI system remains stable and structurally sound for years to come. The adhesive is designed to attach the expanded polystyrene (EPS) boards to the underlying substrate. The EPS Adhesive is highly versatile, as it can be applied on various types of mineral groundworks including: concrete, cement-lime, ceramic, silicate, autoclaved aerated concrete, and more. 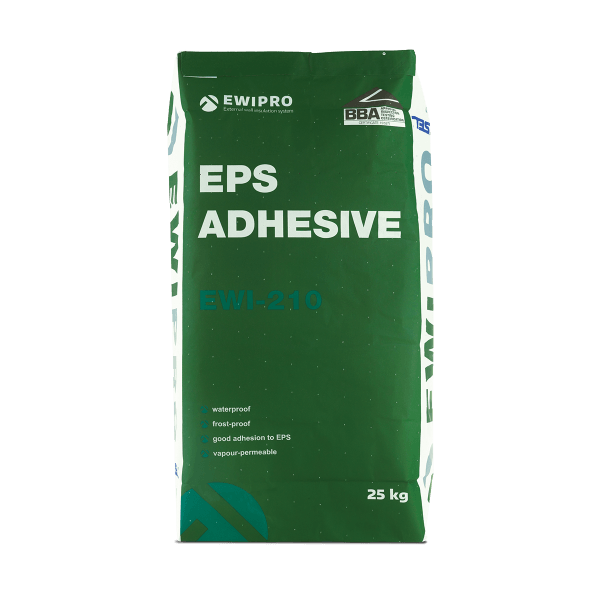 EPS Adhesive should not be applied in rain or humid conditions, or if wet weather is expected before the adhesive has set. EWI-210 should be mixed with approximately 6.0-6.3 litres of water per 25kg of dry mix.